For you biryani lovers, we’ve discovered a hidden gem in Mysore. Spend your Sunday with a short drive to Mysore and indulge in some lovely chicken and mutton palav at this old school joint! Hotel Hanumanthu Original 1930, in Mysore, gets its name from the fact that other restaurants serving similar dishes claim to be the original Hanumanthu restaurant (we’re convinced their food is brilliant just because they deal with insane competition!). Initiated and founded by Sri Man Hanumanthu, it is the oldest and one of the most popular spots in Mysore for non-vegetarian food. We make plans for weekends to go here ONLY for the chicken and mutton palav. The palavs are served with raita and gravy making it is a fuss-free meal. But we promise you'll keep going back for more. Their signature dishes also include liver mutton and leg soup, if you're not opposed to those kinds of meats. And if you're still not convinced, then we hear that the stars of the Kannada film industry (apparently Shivarajkumar and Upendra, or their chauffeurs) hit up this place for for the iconic palav (we’d also like such perks, yes please!). Serving their food on leaf plates, we love that the restaurant has maintained standards and tastes since the beginning. They also do delivery according to their website, although we’re not sure how far they’re willing to go (for the love of biryani, we’re willing to check it out!). Priced between INR 40 to INR 140, we’re surely heading to Mysore this weekend to pig out! 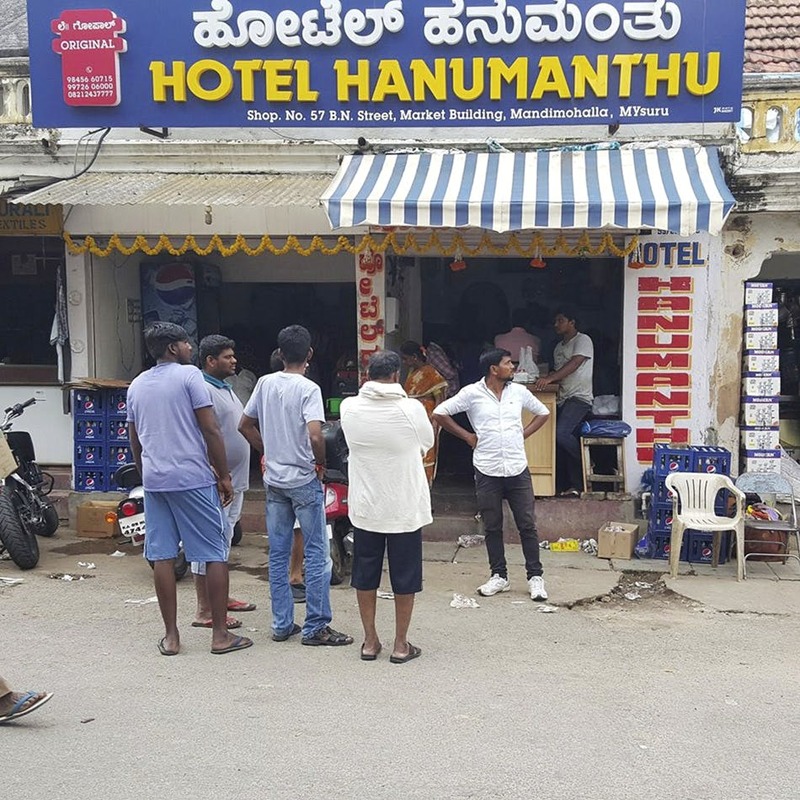 Make sure to visit the right Hanumanthu restaurant on Akbar road in Mysore. Also, they have absolutely no options for vegetarians (except for their Palav Rice) so we don’t recommend it for you green folks.